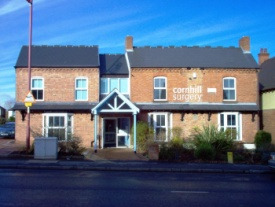 Cornhill doctors' surgery in Rubery provides high quality healthcare to patients in the Birmingham area. Our doctors, nurses and all our other staff are dedicated to offering a professional service and this surgery website will help us to keep all our patients up to date with news and information about our practice. We will keep it current with any developments or other details that we feel are relevant to you. .